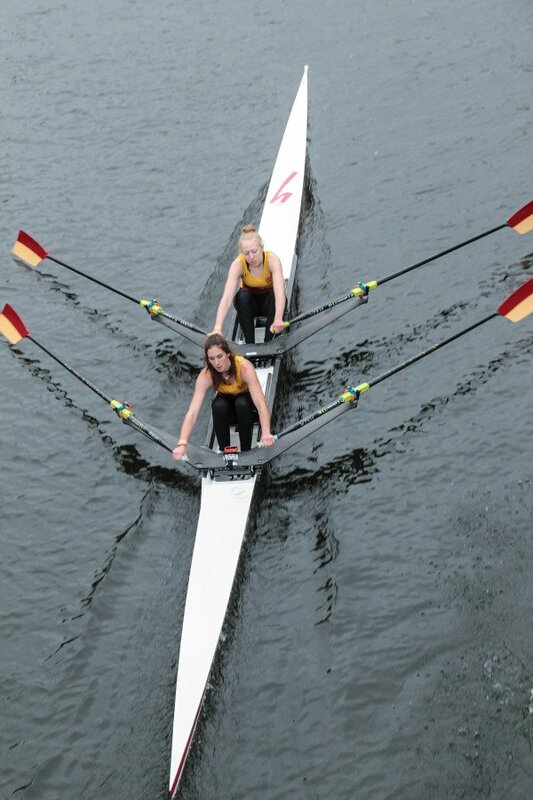 On one level regatta rowing is simple – crews race side by side and the fastest wins. But speed requires a unique combination of balance, timing, power, fitness and tactics. When done well, this makes rowing look effortless. Here is our simple guide to help you enjoy the racing (and impress your friends with your rowing knowledge). All races at Durham Regatta feature two crews side by side, with the exception of time trials (which are used to allocate crews to different events). We have two courses, each starting at the eastern end of the racecourse, just above the bandstand. The 700 m short course finishes just below Baths Bridge. Racing is fast and furious, with crews generally taking only 2-3 minutes to complete the course. Competitors on the 1800 m long course continue past Baths Bridge, through the narrow arches of Old Elvet Bridge and finish just before Prebends Bridge. 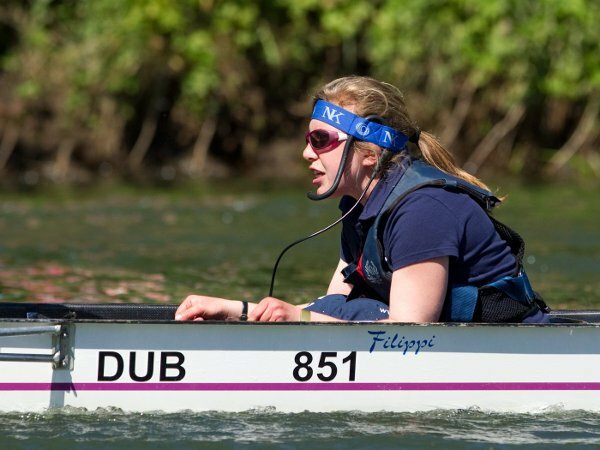 There are two types of rowing to watch at Durham Regatta: sweep oared rowing and sculling. In sweep oared rowing, each competitor holds one oar with both hands. The number of rowers in a crew is always a multiple of two, because otherwise the boat would go round in circles – and might even capsize! Sweep oar rowers race in pairs, fours or eights. These are generally referred to by a single number representing the size of the crew (for example, 2, 4 or 8). In sculling, each competitor has two oars, one in each hand. The boats are known as singles, doubles, quads, or octuples and are denoted by the number of rowers followed by an x (for example, 2x). The crew consists of rowers and possibly a cox. The primary job of the cox is steering the boat. 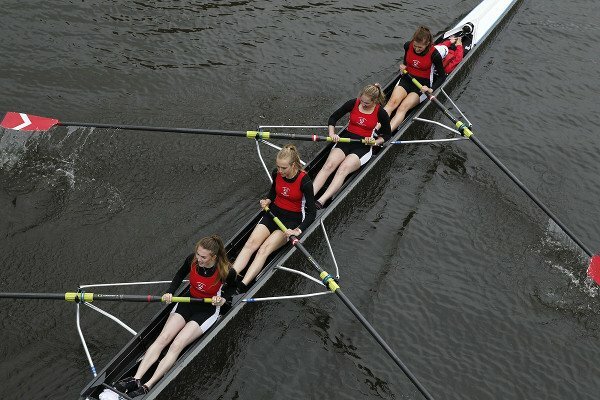 One of the unique aspects of rowing is that the rowers always face backwards. This also means that when a crew pulls far enough ahead, they move out of their competition’s view – adding a psychological element to rowing. Both sweep oared rowing and sculling crews may include a cox, but generally only boats with 4 or more crew members have a cox. The presence of a cox is denoted by a + or -. So a 8x+ is an octuple with cox, while a 2- is a coxless pair. The cox has the best view of the racing so they also make the tactical calls and motivate the crew. A good cox knows just when to call for extra effort to leave the other crew trailing or to tell the crew that their opposition are flagging. The cox can be positioned at the back of the boat where they have a better view of their crew, or at the front where they have a better view of the course. All the positions in a rowing boat are numbered starting from the front of the boat. The rowers are often referred to by the number of their position except for the rowers at the very front and back of the boat. The rower at the back of the boat is known as the Stroke. All the other rowers face them, so the stroke’s job is to set the rhythm and an example. The rowers in the middle of the boat need to keep time with the stroke. They have the biggest influence on the speed, so are generally the strongest crew members. 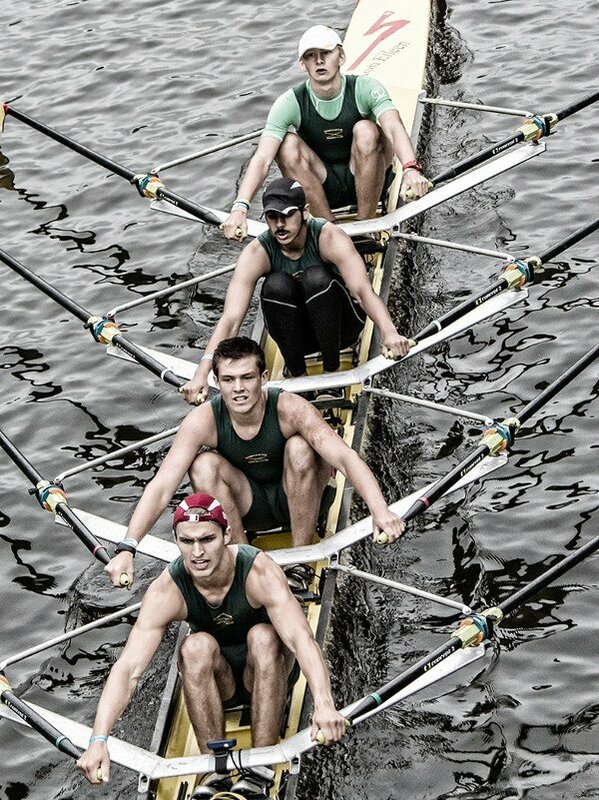 The rower sitting at the very front of the boat is known as the Bow. The Bow has the biggest influence on the balance so need to have good technique. If a boat does not have a cox, the Bow typically takes on that role by steering with one foot! Crews race in different categories. Other than the cox, crews are usually all male or all female, but are occasionally mixed. There is also an Adaptive/Rowability category for disabled rowers. Crews are further classified by age (e.g., Juniors, Seniors and Masters). Finally, crews are also assigned a skill level based on the past performances of crew members. Skill classifications range from novices to elites. Racing boats are designed for speed. They are lightweight and narrow, making them fast, but difficult to balance. They have small rudders to reduce drag in the water, but which make them difficult to steer. On a twisting course like the long course this can be a major factor. The left-hand side of the boat, when viewed in the direction of travel, is referred to as stroke side or port. The right-hand side is known as bow side or starboard. 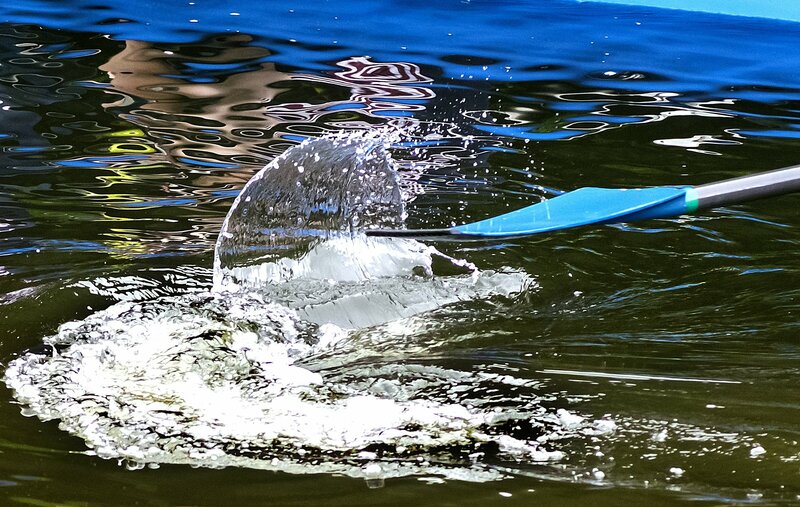 In sweep oared boats, with a traditional set up, the rower at the back of the boat has their oar on the stroke side and the rower at the front has their oar on the bow side. That is why they are known as Stroke and Bow. Enjoy the racing! We hope you might even be inspired to give rowing a try. 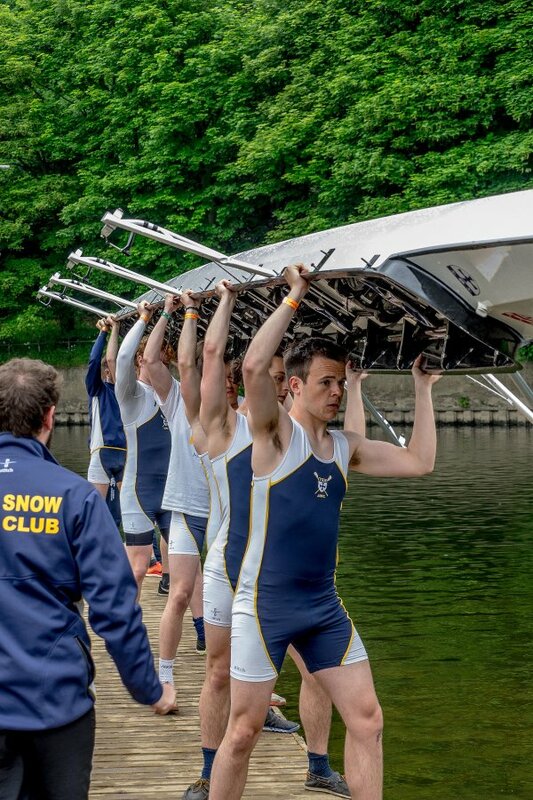 The Durham Amateur Rowing Club offers taster sessions, if you would like to experience rowing for yourself.